In this age of containers it's much easier to run arbitrary code in the cloud. The harder parts are scaling the service, making it reliable, and —as in this case— creating cool and useful experiences. 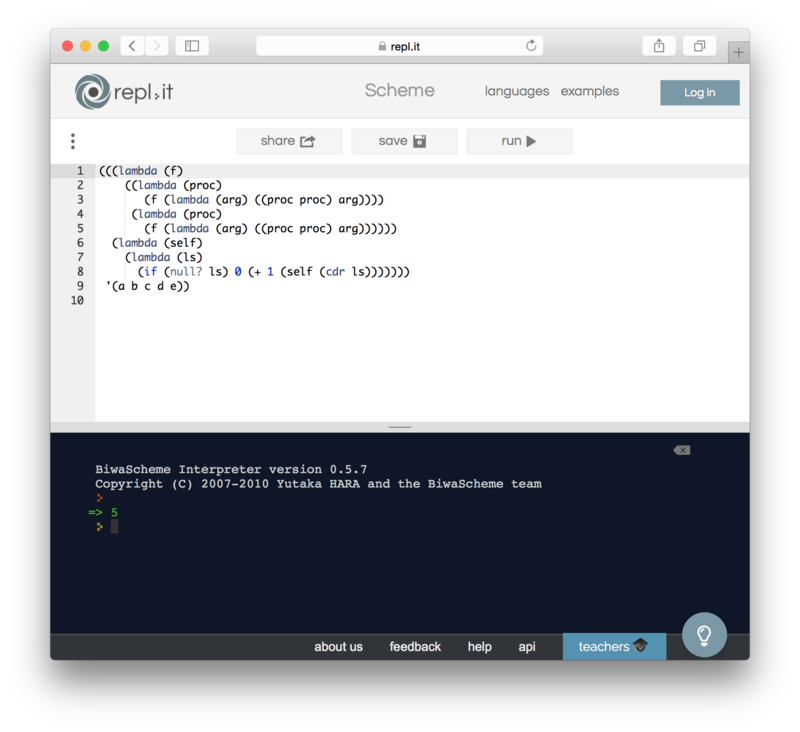 When we looked at existing Swift REPL implementations on the web we found that none delivered a stateful and interactive environment. Just an editor with a run button. As for us, as much as possible, we try to create an environment similar to the original inspiration for our website: DrScheme (now DrRacket). You code in the editor, hit run, and the interpreter will run your code, and then drop you in the console to interact with the resulting environment. The next time you hit run your code will be evaluated in a fresh environment. Today we're excited to announce the beta release for our Swift REPL that we're hoping will work in the same way we outlined above. Execute your code, and then you get to interact with it in the console. Call functions you defined, change variables, and do as you please. Next time you hit run you're loaded with a fresh environment. We hope you find this useful. Let us know what you think and follow us on twitter!